Money Management to close all positions if floating loss is reached. 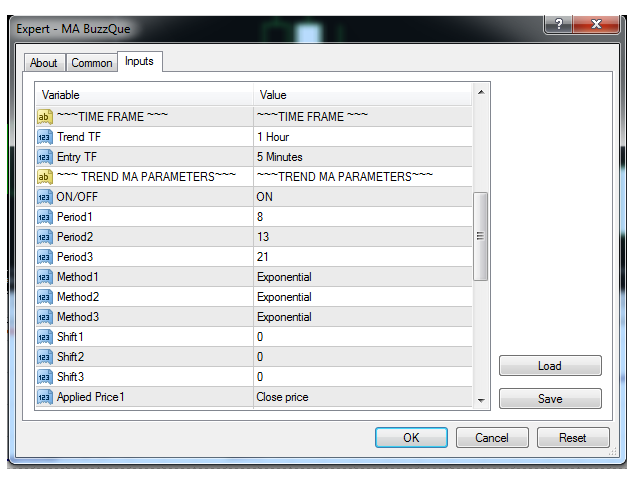 Moving Average parameters can be changed for both trend and entry. Stop New Entry- can be ON/OFF. Max Spread-Maximum spread allowed to open first new position. Magic No.- this ea unique trade number. Lot- lot size for first entry. Lot Multiplier-lot size multiplier for next trade. 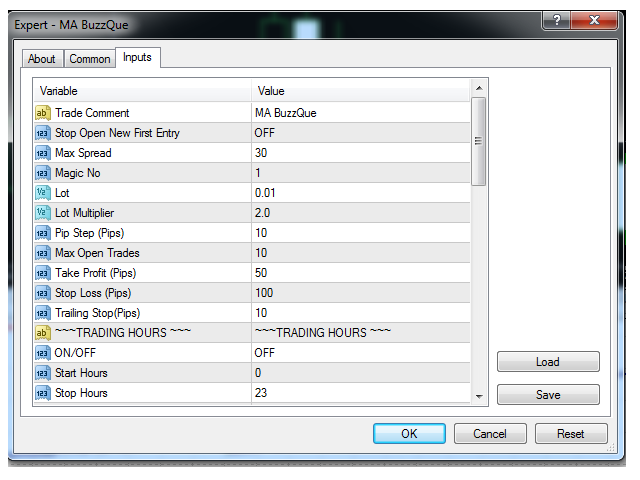 Max Open trades- max numbers of open trades per side. Take Profit- value in pips. Stop Loss- value in pips. Trailing- trailing stop when in profit in pips. Start Hours- EA start hours to open first new trade if there is setup. Stop Hours-EA stop looking for new setup. Trend TF- time frame for Trend MA. Entry TF-time frame for Entry MA. 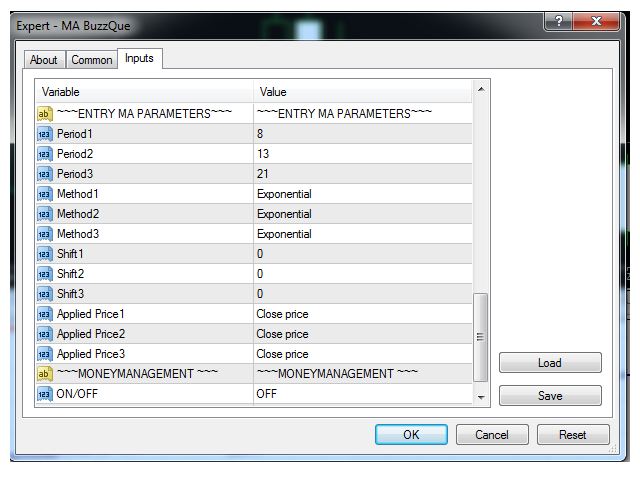 MONEY MANAGEMENT- for closing all trades if floating loss drops to set value.